Over the last few years, Corrective Services personnel have struggled to come up with solutions to deal with the significant jump in prisoner numbers– a problem that is only expected to worsen as time goes on. With cell walls straining, prison staff have been forced to cram multiple inmates into single-person cells while the government builds new facilities. 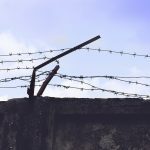 As discussed in our previous blogs, the overflow of inmates has created safety and health problems for both inmates and prison staff, with an increased risk of riots and assaults, and concerns that staff shortages could mean that inmates receive limited access to medical treatment and education, work and parole programs. 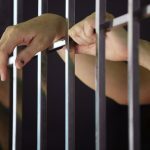 Now, new research suggests that the best way to deal with this situation may be to reduce the use of full-time prison as a sentencing option and focus more on alternative means of dealing with offenders, such as home detention and monitoring. Studies have shown that such measures are far cheaper to implement than full-time imprisonment and may actually be more effective in reducing reoffending. But despite these findings, politicians around the nation seem intent on forking out billions of dollars of taxpayer money to expand existing prisons, build new facilities and increase the length of prison sentences. Home detention is an alternative to full-time imprisonment which effectively allows a person to serve out a sentence at home, or at another residence approved by the court. During the sentence, the person will be required to stay within the residence for prescribed periods and subjected to electronic monitoring using an ankle bracelet. They must also refrain from using drugs or alcohol, submit to urinalysis, and undertake any prescribed programs, amongst other conditions. Home detention has only been used sparingly by the courts – for example, around 400 people were discharged from home detention orders between 2003 and 2004, which represents just 2.4% of all those discharged from supervised community-based orders in the same period. Supervised community-based orders refer to sentencing options which involve monitoring by Community Corrections; including supervised good behaviour bonds, community service orders, home detention orders and suspended sentences. Despite its rare use as a sentencing option, new research suggests that home detention is often much more beneficial than full-time imprisonment. 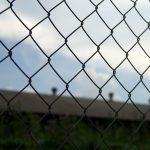 Law Professor Mark Halsey of South Australia’s Flinders University says that Australia should consider the success of home detention programs as revealed by a recent UK study. The study compared 63,000 people who were released following completion of home detention orders with 130,000 prisoners released from prison in the same period. According to the study, the recidivism rate of those who had completed a period of home detention was less than half that of those who had spent time in prison. Professor Halsey attributes the success of home detention orders to the fact that they require offenders to engage in programs which promote rehabilitation and re-integration into the community. They may be required, for instance, to perform community service work, seek employment, adhere to an approved ‘activity plan,’ and engage in ‘personal development programs’ such as drug, alcohol and mental health counselling. These programs are notoriously difficult to access in prisons, where there can be lengthy waiting lists and limited access to counselling and drug and alcohol treatment services due to the shortage of prison and justice health staff. 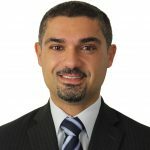 Professor Halsey also praised home detention and monitoring orders as being at least seven times cheaper to implement than full-time imprisonment – pointing out that it can cost taxpayers over $100,000 to imprison a single person for a year. Why is Home Detention Used Infrequently? Given the apparent benefits of home detention orders, one might question why they are used so rarely. Sadly, this is partly due to the limitations associated with home detention orders. Sentencing laws require home detention orders to be used only after a court has found that no other penalty other than imprisonment is appropriate. Furthermore, home detention orders can only be used where a total prison sentence of 18 months or less has been imposed on the person. And before a home detention order can be made, a person must be assessed as suitable. 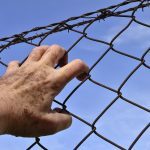 A significant number of people are automatically excluded from home detention orders due to their criminal history or the nature of the offence they have committed. 6. Certain drug offences involving commercial quantities. These onerous restrictions mean that in many cases, home detention is simply not an available option. Besides these limitations, there are political reasons for governments being reluctant to expand the use of home detention orders. 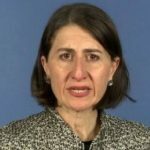 Simply put, a government that is seen to be ‘tough on crime’ and which promotes incarceration generally has the support of popular media organisations and media ‘shock-jocks’ who adopt a conservative approach to tackling crime, even when the evidence suggests that other sentencing options are more beneficial. Building and expanding prison facilities also gives the appearance that the government is actively “doing something” to crack down on crime. Sadly, the research shows that building prisons and incarcerating people for minor offences is a quick-fix solution which is expensive and counter-productive. Initiatives which instead encourage offenders to steer clear of crime by promoting the development of life skills, education, rehabilitation and employment have been shown time and again to produce better outcomes for society.